The raging agreement in the local media, within the last few days revolves around the former Ghana Football Association (GFA) boss, Kwasi Nyantatakyi and investigative journalist Anas Aremeyaw Anas. This has to do with the latter’s investigative piece, dubbed “Number Twelve” which became a nationwide discussion following its maiden screening on Wednesday June 6, 2018 at the Accra International Conference Centre (AICC). Generally speaking, the talk centered on this whole expose, picks its background from a perceptive premise to a realistic conclusion that resulted to a predictable attrition to an individual’s towering figure. 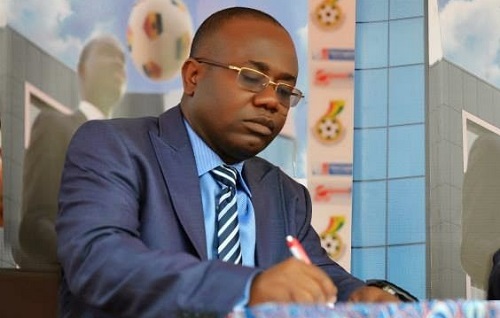 It has to be said that Nyantakyi was already skating on thin ice after the Black Stars’ uninspiring performance at the 2014 FIFA world cup in Brazil. The signs were boldly and legibly written on the wall, as a chunk of the Ghanaian population was calling for his resignation instead of the coach at the time. Particularly, the pressure grew all the more day by day, as a result of the purported $3 Million cash that was transported from the country to Brazil, only to be shared amongst the playing body and staff of the national team.Many felt Nyantakyi’s capacity as the leader of the Ghanaian contingent, was the brain behind the uprising and poor performance witnessed at the world cup. At this juncture, football lovers and politicians were greatly unhappy, and called for a more government action on the state of Ghana football. The then president, John Mahama horned in, by setting up a commission of enquiry to look into the team’s fiasco at the tournament. Many thought the findings of the commission could help revolutionize the structures at the GFA. However, it did very little in terms of their enforceability. It was clear that the sitting government at the time did very little to meet expectations of the public outcry. In 2017, in a media briefing at the Jubilee House, the ensuing government led by President Akufo-Addo accepted clearly that it was not a mainstream agenda on his table. Aside that, the country also waited for another opportunity to appease its football followers in the 2018 world cup, but that later became a wishful thinking. Amidst that, plenty calls were made to register the anger of Ghanaians. Many thought Nyantakyi’s time at the helm of Ghana football headship was at its diminishing returns if not in the abyss. There was a cross section of the media personnel who chanted his exit daily on their platforms. By and large, those remarks got to the nerves of the public, drawing more disenchantment against his name. Today, Kwasi Nyantakyi holds no executive position in both domestic and international football corridors. The critical question has to do with the exact causation that has led to an influential character being reduced to an untitled civilian. 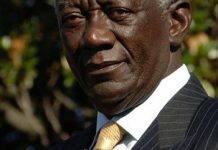 Whatever angle one may look at, it will seem to be an aggregate of internal and external factors that crept in from the very day he inherited the leadership position at the GFA. Has football administration ever been clean? Morally, as a Ghanaian, I feel very sad for Nyantakyi and the nation at large. I felt he was rising day by day as he proved to have learnt a lot throughout his time as the GFA boss. On the other side of the coin, I also feel the damage has been done to a solidly built reputation. Just like any other Ghanaian, I have also had personal and intimate discussions about Nyantakyi. Within that, a friend opined to me that the whole issue looks interestingly ironic and paradoxical. The friend continued to ask me that can I vouch for Nyantakyi’s nobility, credibility and integrity? And that is where my argument begins. To answer this, I would say my concern isn’t about nobility, integrity and credibility of an individual. Conversely, my concern is about nobility, integrity and credibility of football administration. The above attributes are mere vocabularies employed to cover football administration. Meanwhile, it is obvious that no football administration in the world has a saintlike structure when it comes to player purchase, player agent-club deals, sponsorship deals, TV rights, hosting rights etc. Judging from several reportages, it has to be emphasized that many officials at the helm of football offices have been implicated in the above dealings. In effect, very few are exonerated whereas many are held guilty. Great names in football administration such João Havelange (President of FIFA, 1974-1998), Joseph Blatter (President of FIFA, 1998-2015), Michel Platini (President of UEFA, 2007-2015) and a host of others were alleged to having indulged in some malfeasance. All these are testaments to show that the game of football is completely marred by administrative malpractices. Implicitly, I do feel that football administration is not different from governmental politics, which has gained much erroneous impression in the public front. Attributes such as integrity, credibility and nobility are popularly coined to mask the amoral face of individuals, society, institutions and organizations, in order to perpetuate the goodwill and belief of the negative public perception. Yet, all these perceptions have not been overly quashed from the public domain. That informs the realization that those attributes are mere artificial words employed to cover the unwholesomeness of the game. It was the same reason that induced the Italian football federation to sanitize the game by applying tough punitive measures such as getting Juventus (the most successful Italian football club domestically) out of the top tier as well as effecting deficit match-season points to AC Milan, Fiorentina and a host of others in the Calciopoli trials in 2006. This led to plenty jail terms, suspensions and demotions against football officials, players and clubs. All these were in the name of match fixing and some underhand dealings in football fixtures. Does Anas’ work suffice to get Nyantakyi’s into where he is today? Nonetheless, my point on Nyantakyi stems from how he was exposed to the public light. Personally, I thought he would be caught in line of his duty as a football official amidst the rumours, perceptions and propaganda alleging that he was blatantly corrupt. Nyantakyi at one point, opened up on those accusations, indicating to accusers to bring forth the bare facts against him as corrupt person. His level of intelligence and machismo was a clear case that he had done no wrong to be censured on corruption allegations. Until Anas Aremeyaw Anas waded in, it was a firm belief for some of us who believe evidence is the name of the game when it comes to the definition of corruption. Partly, I do side with Anas’ methodology of journalistic investigation. For instance, his works concerning an abortion doctor in Madina clinic, a suburb of Greater Accra and the famous Osu Children’s home menace, were a great piece of work which sought to uncover the inhumane aspect of men and women borne of God. Aside that, there are many other works that make me feel Anas is a complete genius in terms of journalistic contribution. On the other side, I have struggled to understand a small portion of his methodology. That has to do with how he sets up people with money and gets the needed information. With this, I feel the argument is much more overburdened than tracking the root of corruption. For my book, I have always contended that corruption is not about exchanging money with the physical interplay of human hands. I also believe that 99 percent of corruption cases have its basis in money. That is to say money is the sole foundation of all corruption deals. Meaning when mankind stands in money to tackle or delineate the root form of corruption, then it will be an uphill task to alleviant its dominance in our society. And this point is somewhat an alluding factor to Karl Marx’s theory of historical materialism. Money is a powerful master. It is the next most powerful master apart from the Creator of the universe. The more I contemplate, the more I consent to the statement. It is in no doubt that the Holy Bible asserts that the love of money begets all mankind’s evil. I am of the view that if money is used to induce someone to do something otherwise, not for killing or murder ?then it means the subject matter calls for a more thorough inquisition from its foundations rather than the outward picture. Arriving at this point, I realize that Anas’ investigative piece on law court judges, football officials, custom officials and a host of other institutions’ victims that were entrapped by money were unfortunate and worrisome. Football has seen a lot more corruption in this generation than ever. It is not by accident that these corrupt practices recur year in year out. It is simply because the game is a multi-billion industry across the length and breadth of the world. Today, FIFA, UEFA, CAF, English Premier League, Serie A, La Liga and a host of other top tier leagues boast of a sum of billion dollars which span from television rights, kit sponsors and others. Inevitably, muscles will be flexed whereas persuasive appeals from different ends of organizations will be at hand to lobby for participation in order to promote one’s product. All these are visible in today’s market which induces corruptible practices in football administration. Having said that, I believe football corruption will neither cease nor recede, judging from the modern systems imposed in its marketing and packaging. I say this not to adore corruption in the game but on the grounds of tracking vices in a more natural way. This is in effect with Kwasi Nyantakyi’s fall in world football. Opinions are very much divided on how he has been brought low within a twinkle of an eye. Generally, Nyantakyi was caught in bait, not in line of his day-to-day activity at the GFA, CAF or FIFA office. That record has to be set clear that a private investigator made the most of public criticisms to determine the utmost reality. By that, the investigator’s premise was empowered by money. It is the same money that has made football administrators rich and powerful, as successful tenure of office is substantially boasted or adjudged on the grounds of high margins of billion dollar revenue. Has Nyantakyi suffered a just cause historically? Historically speaking, it may be unjust for FIFA to issue a life time ban on Kwasi Nyantakyi as the charges meant against him were more of a bait to invoke some realistic deeds about him. That is taking into consideration the level of corruption that has engulfed football administration within the last three decades. Within that, it has to be said that there had been some guilts which were more outrageous than that of the former Ghana FA chief. But punishments were not executed in that line of lifetime ban. However, unconfirmed reports indicate that there were other charges leveled and proven against him in line of his duty as the GFA boss, as suggested by a leaked Ghana government letter communicated to the ethical chambers of FIFA, with respect to Nyantakyi’s criminal records. It is unfortunate that the story of a fine gentleman who rose to prominence in Ghana football within the last 13 years has had to end in this manner. But the lesson drawn here is that honesty about oneself is relevant in every organization. Sometimes, leadership is not about eloquence, let alone self-aggrandizement and intellect in wake of championing political perpetuity. Like the English writer, Edward Gibbon, said, “all that is human must retrograde if it does not advance.” Kwasi Nyantakyi has himself to blame, on account of not being honest introspectively to avoid the mess he finds himself in today. The defensive bragging of not being corrupt within the media and public setting is completely shattered. He could have done more to analyze whether the victimizations hurled at him, were in correspondence with his personal life behind the scenes. Today, the damage done through Anas’ work will be highly insurmountable to save his face even if he is acquitted of his appeal at the Court of Arbitration for Sports (CAS). On a whole, the significant and deductive aspects of many football scandals underscore corruption as a chain of individuals, groups and cartels, that round up to build its functionality. In nyantakyi’s association with other “football people”, the emphasis here is that he has borne the guilt of himself as well as many of his allies in both domestic and international football. Hence, paying the price of a sacrificial lamb that has been led to the slaughterhouse.